According to Newsweek Global Editor in Chief, Nancy Cooper, automation is both a blessing and a curse. “Automation doesn’t replace humans as a side effect, replacing humans is the goal,” says Cooper. That recent revelation was the impetus for Newsweek to embark on a thorough investigation of how the impersonal forces of advancing automation across all sectors of the economy are transforming retail. Cooper said, “We commissioned Statista, a respected global research firm, to collect and analyze data across 141 retail categories. Then compile and rank that data to reveal the best customer-service companies within those categories.” And in the ‘bicycle online retail category’, Jenson USA was one of the two top-rated companies. Today, more American workers are employed in retail than in any other economic sector – more than in health care and construction combined. But, it wasn’t that long ago that manufacturing was the number one employer in America. Analysts predict that by the end of 2020, one-fifth of America’s multi-trillion-dollar retail business will have shifted to the web, resulting in fewer job opportunities for workers. No one denies that technology is moving swiftly, but the tools for workers to successfully navigate this employment evolution is lagging far behind. There’s no question that a fundamental of Jenson USA’s success has been, and will continue to be, outstanding customer service provided by knowledgeable and dedicated people to the bicycle industry. Cycling at its core is a very human activity. That human to human contact is an important ingredient that Jenson USA customers look for in each interaction with the Jenson USA team. 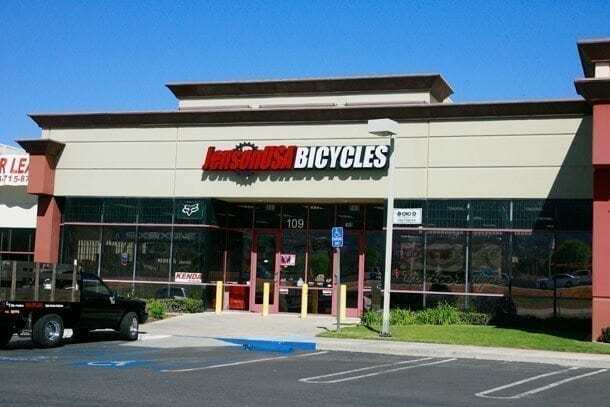 For all your cycling needs online visit jensonusa.com or visit the Jenson USA Corona Superstore located at 2410 Wardlow Road, #109, Corona, CA 92880.